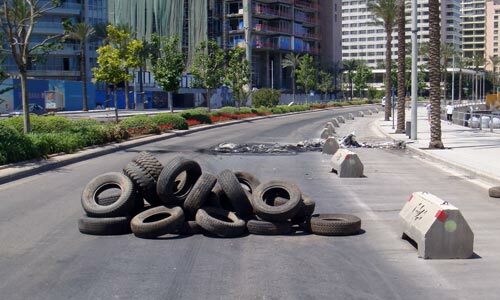 One thing you can say about Lebanon, it is never boring! I thought I’d post a few of the images doing the rounds from the current civil strife, plus a couple I took as well. 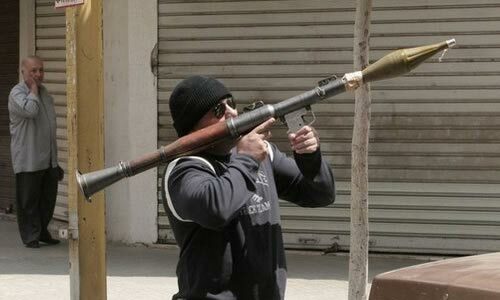 Most of these are from the yalibnan website (though be warned, some of the photos on the site are a bit gruesome). What an unusual group of photos. Putting captions on them would be interesting. 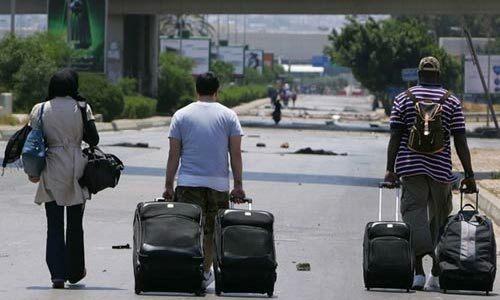 The suitcase guys could be “They told us the International Terminal was within walking distance”. The one with the tyres ” See we’ve started to get ready for the Formula I “. See what others come up with.